My Jim went Home to God so peacefully at 6:21 PM Friday March 22, 2019 after a long battle with cancer, he was 76 years old. Jim was born and raised in Yonkers, New York on October 26th 1942 to Irene and Jim Pignataro, along with his Mom and Dad he will now join his 2 sisters, Joan (Mullins) and Irene (Silvestri) in Heaven. The family is now all together again. Jim attended Saunders High School and NYU, after graduation he went to work for IBM in New York and worked there for several years and realized that he just was not a 9 to 5 guy. His dream since he was a kid was to be a Firemen, so he took the test and was hired by the White Plains N.Y. Fire Department. He served 11 years on the Department and in 1977 fell through a roof at a fire, he was stricken with Rheumatoid arthritis because of the fall and was unable to continue his duties as an active Fireman, his option was a desk job which he decided not to take so he took his vested rights and retired from the Department. His arthritis worsened and the doctor suggested he might be better in Arizona, we both gasped and thought OMG the desert, lets give it a try. A Fireman friend had just come back from Arizona and told him to check out Fountain Hills, we flew out and fell in love, we went back home and sold the house and moved to Fountain Hills in 1978. We had no friends, family or jobs but that changed very quickly for us. A Realtor told us that a Restaurant on the Avenue of the Fountains was for sale ( the Little Cafe) we purchased the Cafe and became cooks overnight, yikes. The Good Lord must have been with us, we were crowded every single day, didn't know it would be that hard, but the blessing was we met every one in town and developed wonderful lasting friendships till this day, we finally felt at home. After 3 long years and thousands of eggs we sold the Cafe. 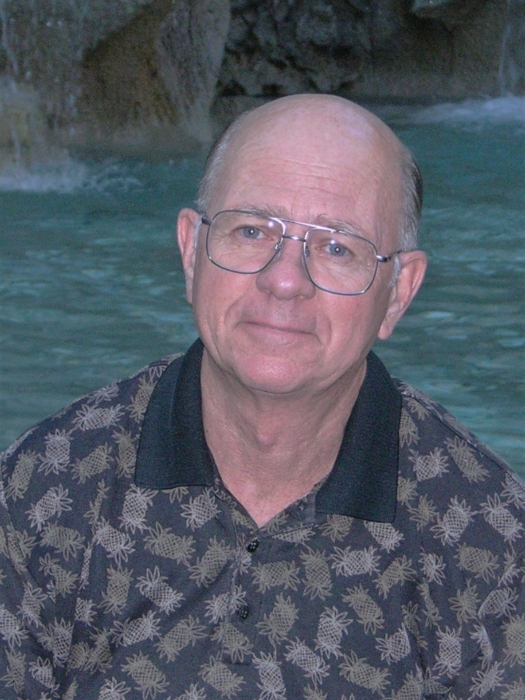 Jim went back to school for Heating and Air Conditioning and opened Southwest Heating and Air -conditioning in 1985 serving Fountain Hills and Rio Verde till his illness forced him to stop working. said they all reminded him of his mom, he never spoke bad about anyone, always saw the good. His only downfall was, never ever talk politics ever! All in all he was just a true Good Guy. Jim leaves behind his loving wife Maureen of 53 spectacular years. Never being blessed with children his joy was our 16 nieces and nephews, 32 great nieces and nephews and 6 great great nieces and nephews and so many family members and the best friends anyone could ask for. He was given a wonderful full life with no regrets and no" wish I had's" who could ask for more than that. Rest in Peace my Love. A mass to celebrate his life will be on Saturday March 30th at lOAM at the Church of the Ascension on Fountain Hills Blvd, Fountain Hills, followed by lunch in the Church Hall. Jim and I both would be honored to have all that knew him celebrate his life. In lieu of flowers please consider Hospice of the Valley, they truly are God's Angels.